In the run-up to the midterms, the nonprofit outlet ProPublica is crafting a personalized newsletter meant to engage “regular voters”. 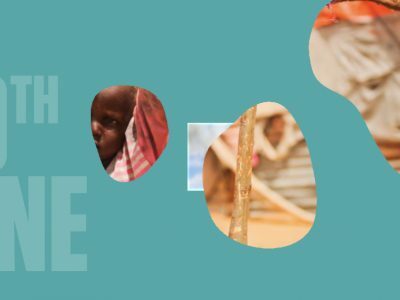 The nonprofit investigative outlet ProPublica has made a reputation for raising awareness about overlooked topics in the US. Its coverage spans from political, economic and environmental issues, with a self-proclaimed mission of holding the powerful accountable. The website is also leading the field in visual and data journalism, producing a steady flow of public-interest interactive tools. Now, ProPublica is getting on a new quest: engaging voters. The website is getting ready to launch a new personalized newsletter called “A User’s Guide to Democracy” that will help readers make sense of the upcoming midterm elections. 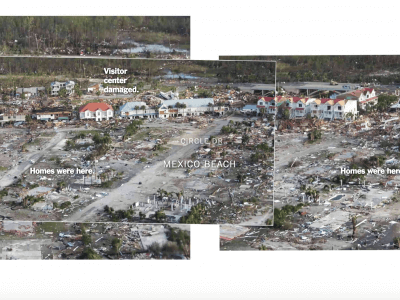 “We noticed we had all these different tools and initiatives about government and civic issues that were not really talking to each other” explains Cynthia Gordy, ProPublica’s marketing director, who oversees the project. “With midterms around the corner, we saw an opportunity to harness our knowledge and tools through the different stages of the election process”. 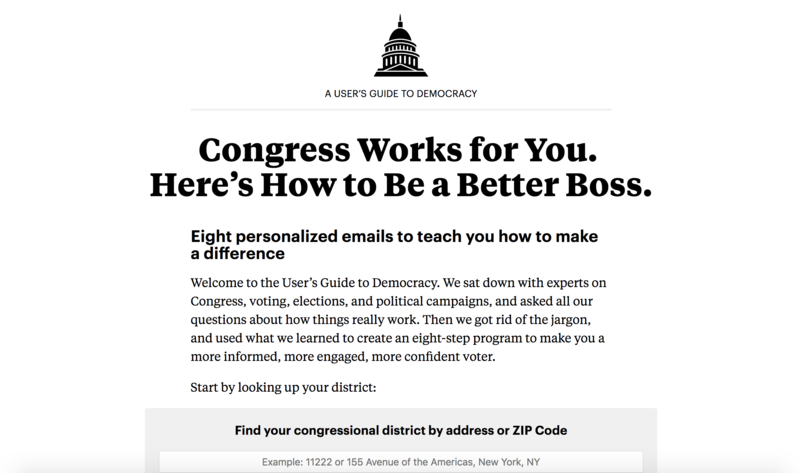 The weekly newsletter is presented as an “eight-step program”, focused on simple and practical information so that users feel more informed about Congress and more confident about their vote. The newsletter’s sign up page. Gordy, who is a former journalist, will handle the copywriting but stresses it is based on many conversations with the editorial team. “We have a number of newsletters at ProPublica but this one is a bit different, it’s more ambitious” she acknowledges. Tapping readers’ thirst for civic engagement seems like a new editorial trend among news publishers, which can also serve as a subscription perk. The New York Times included a similar political action guide in its subscriber-only series “A Year of Living Better” earlier this year. At ProPublica, the user-focused approach should be even more fruitful thanks to the use of powerful data sets and personalization. The project is also paving the way for new developments in publishers’ email strategies. Newsletters are now becoming heavily editorialized, rather than simply delivering the latest stories in bulk. But news outlets can also leverage the medium to have a more substantial impact on the daily lives of their readers, by delivering advice & practical information on a variety of issues. Yet this requires creative writing skills and a good sense of what each audience actually needs.